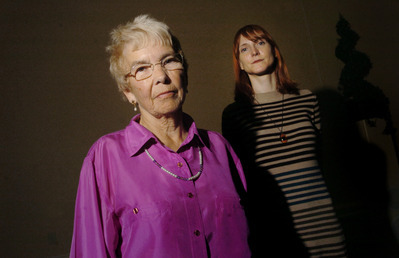 Dr. John Palmer and Dr. Christine Simmonds-Moore have received prestigious Bial grants for research projects in 2011. The Bial Foundation is an organization committed to discovering, developing, and providing therapeutic solutions within the area of health and is the world’s largest provider of grants for scientific research in Parapsychology. Dr. Palmer is Director of Research at the RRC, Editor of the Journal of Parapsychology, has twice been the President of the Parapsychological Association, and has published over 100 research reports, literature reviews, and theoretical papers. He will be performing an experiment to evaluate the connection between the dissociative state and PSI. Psychological dissociation is a disruption of normal conscious awareness in an individual. Many people experience a mild form of dissociation while driving a car and listening to music, and musicians and artists have been known to purposely create a dissociative state in order to improve their creativity. Dr. Palmer presents a hypothesis that dissociative states can be exploited to enable better performance on PSI tasks. Through a motor automatism PSI task, exemplified by the automatic writing of the trance medium Leonore Piper as well as the modern Ouija board, Dr. Palmer will evoke a dissociative state and distract participants’ primary consciousness with a reading exercise while the dissociated consciousness performs the PSI task. The overall hypothesis to be tested in this study is that psychological dissociation improves PSI performance. Dr. Simmonds-Moore is the Senior Research Fellow at the RRC and has been involved in research on paranormal experiences for over 10 years. She has taught courses in Parapsychology at Liverpool-Hope University and the RRC. She has numerous studies and research collaborations to her credit and has been performing research at the RRC since 2009. Her research project will examine the association between synesthesia and anomalous experiences that may include PSI. Synesthesia occurs when one sense involuntarily activates a different sensory experience. A person who experiences synesthesia may be able to see sounds, taste shapes, or hear colors. Dr. Simmonds-Moore’s study will attempt to identify individuals who experience synesthesia and explore how this relates to PSI and other experiences. Her research also examines the relationship between synesthesia, personality (a measure of positive schizotypy), and a range of anomalous and paranormal experiences. Her work will also develop a new scale to explore the incidence of synesthetic experiences in the general population. Everyone at the RRC would like to congratulate Dr. Palmer and Dr. Simmonds-Moore on their grants and the opportunity to perform such important research under the Rhine umbrella. New Issue of Rhine Online! We are excited about this summer 2010 issue of our Psi News Magazine. Our general focus is on complementary and alternative healing techniques. Psi and healing is a topic that arises frequently in discussions, talks, and workshops at the Rhine, and one of great interest to the community at large. In fact, one of our current research projects started by the late Dr. Steve Baumann, and continued by Dr. Bill Joines is a study of photon emission in bio-energy healers. Alternative healing is directly linked to psi. In a 2001 paper, Daniel Benor, MD, uses the term “psi healing,” in fact, to describe various healing techniques. He says:This paper accepts the existence of psi healing (also called spiritual, mental and paranormal healing) to be an established fact. The author has found 152 published studies of healing (Benor 1990; Benor in press). More than half of these demonstrate significant effects. There is thus more research on healing than on all the other complementary therapies combined, with the exception of hypnosis and psychoneuroimmunology. Psi healing demonstrates that the mind of a healer can alter the conditions of organisms, including cells in vitro, bacteria, yeasts, plants, animals and humans. In addition, there is evidence that healers may influence water, crystallization of salt solutions and enzymes. Some of these studies show significant effects of healing at a distance. In terms of popularity in the mainstream world, what Benor calls “psi healing” may be one of the rare examples where the believers are coming close to balancing out the skeptics. For example, according to the National Center for Complementary and Alternative Medicine, approximately 38 percent of adults and approximately 12 percent of children in the United States were using some form of complementary or alternative medicine (CAM) as of 2007, and the figure is steadily rising. These therapies include yoga, tai chi, massage, meditation, Reiki, acupuncture, shamanism, etc. In this issue, we hope to illuminate some of these healing techniques. Dr. Katherine MacDowell, respected author and the founder of Ocean Seminary College, gives an overview of shamanic practice and techniques, especially as related to her personal tradition. Additionally, Dagmar Ehling, licensed doctor of Oriental Medicine, gives an extensive overview of acupuncture, Chinese medicine, and their guiding principles. Reiki, an energy healing technique that originated in Japan, works with the same conceptual understanding as acupuncture, and from my experience as a Reiki Master Teacher, I give a brief introduction to Reiki in an interview. Jane Katra, PhD a renowned healer from the northwest United States, shares two powerful stories with us. In one, she describes a distant healing experience with Russell Targ, one of our recent speakers and the founder of remote viewing in the United States. In the other, she describes an extraordinary afterlife visit from Dr. Elisabeth Targ, associated with healing and comforting at a distance. You will have to read for yourself to understand the uniqueness of these interactions. Some of our most common therapeutic experiences are the healing interactions we have with animals. We include two powerful examples in this issue. Sally Rhine Feather, Executive Director of the Rhine Center, shares with us a miraculous story of a human, Anthony Swaney, healing a small kitten through an energy healing technique. In the reverse, my article titled “The Healing Power of Dolphins” discusses the powerful ways in which an animal species heals us. Jack Hunter, the editor of Paranthropology: Journal of Anthropological Approaches to the Paranormal, shares with us a powerful commentary on anthropologists and their experiences during field work. If an anthropologist is fully immersed in a ritual, the intended results of that ritual are typically undeniably experienced. In this way, anthropologists may sometimes be our closest scientific link between the worlds of mainstream science and ancient practices (such as shamanism, energy healing, and the like). Christine Simmonds-Moore, PhD, our visiting researcher, sheds light on her research, her interests, and her entrance into the world of parapsychology at a young age. Bob Gebelein, our featured volunteer this quarter, describes the work he does at the Rhine Center, his decision to move here to be closer to the Center, and his viewpoint about parapsychology and Harvard University. 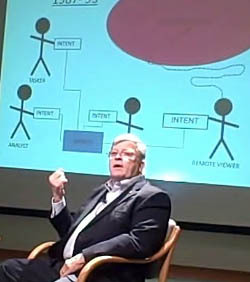 Last but not least, we give an overview of the Rhine events from this spring and summer with an in-depth sample of two programs as experienced by Dave Roberts, managing editor of the Journal of Parapsychology, and an extensive interview with Joe McMoneagle, a recent popular speaker and workshop leader renowned for his acumen in remote viewing. We hope you enjoy the issue. Please e-mail me at Jennifer@Rhine.org or my co-editor, Mark A. Schroll, PhD, at Mark@Rhine.org with any comments or suggestions for future issues, and do drop by the Rhine Center whenever you are in Durham, North Carolina. One of the many good things about not having read every book, article and research paper in the field of parapsychology is that I am regularly thrilled by a new find. The downside of course is that I sure wish I had read Rhea White's Presidential Address to the 1984 Convention of the Parapsychological Association years ago. These presidential addresses usually cover a lot of ground, but there are some fantastic points she makes that shed a lot of light on current thinking in the field. You may have been present for her speech, or you may have read the article years ago, but something struck me at the beginning of the speech that may benefit us to take another look today. Remember, its 1984 when the speech was made. The parapsychological world is just learning about Remote Viewing from Targ and Harary's book "Mind Race". Cellphones had just been invented, were the size of a brick, and wouldn't become widely used for another decade or two. In 1984, the Macintosh was introduced, the first personal computer using a mouse and a graphical user interface. Rhea White's address emplored parapsychologist to break out of their current mindset in viewing PSI and its mechanics, since she felt new approaches were needed to discover productive areas of research. To stress the frustrating nature of PSI research at the time, she used the example of the telephone ringing spontaneously, as PSI events are almost always just as capricious.. She asked, how can we make it ring again, who is calling, why are they calling? The telephone model, with a sender and reciever, was and still is a popular way of conceptualizing how PSI works. Her point in 1984 I don't think was to reinforce or support the sender/receiver idea of PSI, but to point out the difficulty in figuring out what is going on with a random phone ring, something we can still relate to in 2010. But my point here is to take her example and look at it in the light of our current telephone technology, and then update our view on how PSI works. Back in 1984, for the most part, all calls had a sender and a reciever. Calls were carried with electrical signals on wire, from point A to point B. Other than the occassional thunderstorm, when the phone rang, it was because someone sent a signal on a line to make it ring. So back then, remote viewers talked about signal/noise ratios, and worked to make the signal stronger or the line noise less. To clean up the "signal line", efforts were made to insulate the line with all sorts of things, faraday cages, the ganzfeld, controlled remote viewing, hypnotism, you name it. Modern phone technology is a little different. Signals from sender and reciever are sent out in every direction, the communication only occurs because the two locations share an agreed upon frequency upon which to transmit the signal. Hundreds of other signals are flying through the air at the same time, but your phone rings because it is receptive to a particular piece of information. The frequency can change with each use, if it does NOT change its an unusual conincidence. So if you get a call, then turn right around and try to find the sender again on that same frequency, it probably won't work. Many of the suggestions Ms. White makes for new approaches to research make a lot more sense if we update her 1984 phone technology to the present one. Take this process and now think about the transmission of information in PSI events (if transmission of information is actually what is happening). Every person is receiving the information, but only if the person is tuned in to a particular signal will they get a useful communication. The other implications for updating our view of communication via "extrasensory perception" also provide new ways of working with research design and the "how-to" of PSI. I will leave all that up to the reader, my main point here is that evolving technologies such as computers, holograms, and many others give us an opportunity to likewise evolve our way of looking at PSI. Rhea White was asking readers in 1984 to change their course in researching and understanding PSI, and we can do just that by examining what new technologies can perhaps suggest to us about an old problem. Joe McMoneagle visited the Rhine Center last weekend (June 4th and 5th) and it was once again an amazing event. Joe is considered by many to be the finest Remote Viewer alive, having been tested hundreds of times and having appeared on numerous live TV programs displaying his talent. He does not do a lot of appearances and virtually no training, but occasionally he visits the Rhine Center to enlighten us with his knowledge and fascinating anecdotes from his lifetime of work in the highest levels of military intelligence. 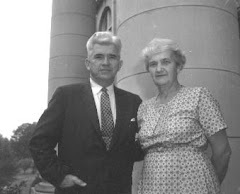 Joe was a "psychic spy" for the military for almost 20 years, and helped develop what we know as remote viewing today. The first thing you notice about Joe is that he's a friendly guy who is eager to help you learn about Remote Viewing. He's direct and thorough, so you learn from him that discipline and practice is centrally important in improving your RV success. He talked about his own method, and how important it is for each of us to find our own process, and to dedicate ourselves to it. Like any other skill, RV is something you have to make a part of your life, you need to care deeply about it and pursue it. If you are interested in learning about how Joe does Remote Viewing, you will do yourself a big favor by reading his book, "Remote Viewing Secrets" where he spells it all out. The book Joe recommends you read to put it all in perspective is his book "The Stargate Chronicles: Memoirs of a Psychic Spy". Like his talks, it is full of stories from the development and application of the Military/Government program that flourished in the 1970s through the mid 1990s. Fascinating reading, and Joe shared many stories from those years that did not make it into the books, and follow-ups to impressive viewings. He spent a lot of time answering the questions of the audience members in his Friday night talk, and did the same on Saturday after putting us through our paces with numerous Remote Viewing sessions. He worked with us as viewers and monitors during the sessions, and emphasized where we were getting it right, and where we needed to improve. I had the good fortune to have Joe as my monitor on a few sessions, and he really kept me on task and guided me to use effective strategies to get the information I was looking for. You could tell from the chatter on breaks and afterwards that everyone there got a lot from the day's education, and we took a lot of great training home with us to apply to our future Remote Viewing. The Rhine Center will be posting a video of the Friday evening program if you are interested in hearing what went on. If you have the opportunity in the future to go hear Mr. McMoneagle speak, its a great experience. Anyone interested in Remote Viewing as a practice, or the exciting stories of its application in the intelligence/political field, should pick up a copy of Joe's books and give them a good read. For years, Joe McMoneagle was known as “Remote Viewer No. 1” during his involvement in a top-secret military program called The Stargate Project. The multi-million dollar federal program was set up to determine the potential for military use of psychic phenomena like ESP and remote viewing, the ability to gather information about unseen places or objects. The idea seems implausible, but the research project ran from the 1970s through the mid-1990s. McMoneagle has documented his experiences as a remote viewer in the book “The Stargate Chronicles: Memoirs of a Psychic Spy” (Hampton Roads/2002) and this weekend, he’ll speak to audiences at the Rhine Research Center in Durham, NC. First, he joins host Frank Stasio to talk about psychic experiments in the military and how remote viewing is used today. Participants are needed for an ongoing study (funded by the Bial foundation) which is exploring individual differences in pattern detection. The study is exploring the observation that a lot of paranormal experiences occur against a random backdrop (e.g., reading the tea leaves and "electronic voice phenomena") and there is a human tendency to find patterns (e.g., seeing shapes in clouds). This study is looking particularly for people who are definitely disbelievers in paranormal phenomena to take part. The study consists of filling out a questionnaire and then coming to take part in a computerized study comprising a series of visual noise and auditory noise trials (some trials have targets (weak stimuli and "ESP" targets associated with them, while others will be just random noise). The computerized part of the study takes around an hour and a half to complete and participants will each be given a cinema or book voucher worth $15 to thank them for their time. Please see the study website at http://www.wix.com/simmonc/patternexperiment or contact Dr. Christine Simmonds-Moore or 919 951 8916 for more information or to sign up. Russell Targ's recent weekend visit to the RRC was absolutely fantastic and all you'd expect it to be. We had a huge crowd out for the Friday night event where Mr. Targ gave us a wonderful presentation on Remote Viewing and his history in the development of this skill. It was great to hear anecdotes of his experiences in the SRI and military programs, and how he interacted with some of the more famous viewers. He shared some of his insights into the nature of the phenomenon, and took lots of questions from the audience there. He showed a great sense of humor and a love for the science he talked with us about, which made his talk all the more enjoyable. Mr. Targ emphasized the way Buddhist thought sheds light on the PSI events we witness, and how important the reality of our connectedness is to our understanding Remote Viewing. Then on Saturday Russell talked with us about the dynamics of Remote Viewing, and led us in a number of practices over the course of the day. Those of us attending received instruction from a person instrumental in the very creation of the Remote Viewing field. The different targets selected, and the varied procedures used highlighted the important considerations in any remote viewing session. We discussed the process and shared feedback on our experiences. As always in these group sessions, the shared knowledge of fellow viewers was a real boon to our learning. Russell added his own insights, gleaned from decades of experience in working with the best remote viewers in the world. The members of the remote viewing group that meets monthly at the RRC, the staff on hand, and all the visitors from across the country in attendance shared a wonderful few days of Remote Viewing education. Mr. Targ's scientific knowledge and practical Remote Viewing skills, as well as his joy in exploring the non-local connections we share added up to a marvelous experience. Hopefully we will have him back for another visit in the future, and the Rhine Center is very grateful for the learning event he provided us. We are likewise looking forward to other Remote Viewing events in the near future, such as the PSI games on Friday, and visits from Joe McMoneagle and Dale E. Graff later this summer. Please contact the RRC soon if you are interested in these events. Rhine Center to Screen the First East Coast Showing of Something Unknown! Can our thoughts and intentions affect the physical world? Can we be spontaneously healed? The film documents evidence that the mind can affect matter. It demystifies psychic and paranormal experiences and presents rare glimpses into laboratory experiments, spiritual healings and declassified government archives. “Something Unknown” reveals scientific evidence that consciousness can influence the physical world. It uncovers decades of pioneering research conducted by governments, universities, and independent scientists to explore quantum physics principles that indicate humans are interconnected and have extended capacities of consciousness that transcend time and space. Thank you so much for your support and help to make this past weekend program with Russell Targ such a huge success. With about 100 folks on Friday evening and about 40 attendees for Saturday's all-day workshop, our volunteer operation was put to the test. . But our speaker Russell seemed extremely pleased with his first visit here with us, felt very good about his response from the audience and thanked me for the very nice party in his honor last evening. The fact that he got a standing ovation from the workshop participants last evening is a tribute to the whole operation as well as to Russell's special inspiring way of facilitating remote viewing and sharing his knowledge, wisdom and Buddhist insights with us. Once again I thank you for your help in making this one of the most successful programs that we have sponsored at the Rhine Center in my memory. What a magnificent weekend! Russell Targ selflessly brought his beautiful, powerful, and soothing energy to the Rhine and I know everyone was fascinated by his presentation, attracted to his persona, and attached to his colorful humor. And as for my participation in the workshop, I had great success with the experiments. He is the first teacher in 20 years who was able to dial me into his particular method of clairvoyance in a seamless and powerful manner. What a treat! My RV partner and I were thrilled! As I watched you two together, I witnessed a bright, charged aura of intellectual/spiritual greatness -- two giants of the psi world. I'm glad you're pleased with the outcome. The standing ovation at the end of the day was not just for Russell -- it was for you as well. We'd love to hear comments from others who attended the workshop. I just spent a weekend with Thomas Campbell, who is a physicist working with NASA at Huntsville. He has written a big, 800 page book called "My Big Toe," a theory of everything. He has a number of interesting and original ideas in our various fields of interest, which I have summarized below for your entertainment. Theory and experience are both necessary for understanding. Don’t just pay attention to the stage and the sets, there are also people. The relationship of physical reality to consciousness is fundamental. The purpose of consciousness is to lower its entropy and become love. Growth is essential. Evolve or die. A form of nonphysical energy exists, capable of changing itself. Consciousness is a form of nonphysical energy. Assumption One. It is not possible to describe the superset in terms of the subset. Assumption Two. Our purpose is to learn the rule set [the organizing principles] for the system. It is hard to make “the system” serve your ego, since that is not its purpose. The system wants to reduce entropy [and increase coherence]. Consciousness will inform quantum mechanics when consciousness is understood. Consciousness is outside of space and time. Love lowers ones entropy promoting health. Fear increases entropy, chaos tears the self apart creating illness. Ghosts, little people, and UFOs all are in an alternate reality outside of space and time. Data is spread all over the hard drive, like David Bohm’s implicate order. Our intention modifies the probability of events! One of our group regulars, Scott, gave a great presentation on the relationship between Local Sidereal Time and Remote Viewing at our recent meeting. He presented the studies that have occurred over the years regarding the phenomenon and related issues, and Scott also discussed some of the theories as to why the relationship between the stars in the sky and our ESP on the ground occurs. It was fascinating, and of course initiated a great deal of discussion within the group. We also did a remote viewing session for a target Scott provided, and we had a good time discussing the processes we use to get target data. Our next meeting will be Wednesday March 10th at 7pm in the Tanous Library there at the RRC. This will be mere days before the center hosts Russell Targ, one of pioneers in the Remote Viewing research and applications field. Both events will be a thrill to anyone interested in Remote Viewing. On January 29th the Rhine will be having a "Spoon Bending Party" facillitated by Bill Joines, Carl Blackman and Bonnie Albright. This is one event where you will want to buy your tickets in advance as the seating is limited. I posted these two videos of Diana Gazes The Lighteam, who led hundreds of spoonbending workshops. She now resides in Mt. Shasta and leads workshops and gives private sessions. Last night's Remote Viewer's meeting was once again a thrill. I arrived good and early, and after a brief altercation with the security system, I plopped down my equipment to get ready for the meeting. I had brought along a target for Remote Viewing practice. We like to try at least one target per meeting. The Remote Viewing meetings usually consist of a short presentation on one of a wide range of topics, some discussion about the topic, a remote viewing session, and then reflections and observations on our experiences in the session. It's extremely helpful and fun to be able to sit with other viewers and share insights, knowledge and experience regarding our Remote Viewing. Anyway, before anyone arrived, I placed the target ( a small box containing one of my work gloves) on top of some other boxes there in the library where we have the meeting, out of sight of the meeting area. Then I went back over to the table and set up the laptop, projector and screen. I greeted folks and chatted with them as they entered, and at the designated time we started the meeting. The presentation was on "Relating to the Subconscious" and I talked about many things I had learned about relating and interacting with the subconscious, and we all shared strategies and ideas about this topic. Then we did our Remote Viewing session. Keep in mind no one there knew what or where the target was. Earlier things we had remote viewed at other meetings included vacations, photos of famous events, objects there in the building, a wide range of targets. We took about 20 minutes to do our session, and when we finished everyone put down their pens and paper and I retrieved the box. I opened it and poured out the glove onto the table in front of the group. The participant to my right gasped and held up the session notes. The first two words on the page: Box, Glove. The next participant to the right started their session with Appaloosa horse, and embossed on the back of the workglove was a horse. The other participants got bits and pieces of the information on the target, and everyone was excited about the results. And of course, it was a lot of fun. I am very much looking forward to our next meeting on February 10th at 7pm in the Alex Tanous Library there at the RRC. I hope to see you there. The Remote Viewing Group meets on the second Wednesday of every month. It is open to the public. This past Friday evening (1/8), I had the good fortune to attend one of the most meaningful presentations I have experienced in a very long time, Mitch Krucoff speaking on what he calls the "Intangibles" to be integrated into traditional western healthcare. These Intangibles include prayer, imagery, thought, touch, music and so on. I wasn't the only one to feel this way about the evening. When Mitch finished speaking, not a sound was to be heard. The entire audience sat in silence, wrapped in the significance of what he had just shared with us. For those who weren't fortunate enough to be there, do not despair, a videotape of the presentation will soon be posted on www.rhine.org. Mitch has been on the Board of the Sri Satya Sai hospital since 1990. Now there are two of these hospitals and you will learn about them in the video. He is also a cardiac surgeon at Duke Hospital, so he speaks about medicine from both sides of our globe with plenty of direct experience. One of the more powerful messages for me from this evening was to focus on how far western medicine has come in bringing what used to be Alternative, then Complementary Medicine into its venue. We now call it Integrative Medicine. The change in those words is significant. Yes, we have a long way to go, and we must remember that substantial progress has been made. Again, solid details are on the Krucoff video. We in America are certainly at a point where the redefinition of appropriate healthcare is high on many lists of discussion topics. There are many, often diverging, views as to what that redefinition should be. I would be interested in seeing the thoughts of others on this topic, particularly if you attended Mitch's presentation or watch the recording of it. Let's not talk about the problems. There is plenty of talk about those in other places. Let's talk about the promising signs of progress as well as actionable ideas which can be implemented to accelerate that progress. The actionable ideas that we can do ourselves, rather than those which tell others what they must do, will be of particular interest. For more information on Sathya Sai Baba International Sai Organization. My name is Art Funkhouser and I am scheduled to give a talk and lead a workshop on déjà vu this coming June at the Rhine Center. "Over the past several months I've had a near-constant experience of deja vecu. Something will happen, and in the process I'll remember that I had a dream about this exact moment and I'll know just what comes next. I remember almost all of my dreams, including the mundane ones. What's convinced me that it's not somehow a trick of memory, though, is that I always remember when I had the dream and what I felt as I dreamed and when I awoke. "One of the things I find odd when I compare my experiences to the experiences recounted on your site is that often the dream precedes the actual event by several months if not years. For example, the very first time I remember this happening was when I was thirteen, and the dream occurred when I was six. I was on the side of the stage in a rehearsal for a local kid's musical program when the director decided to take a quick break. During the break, the younger kids were sent home, and as they left one of the boys went up to me and my friend and hugged us goodbye. She remarked at how sweet and cheerful he was when he walked away. I remembered the dream when the boy broke off from the rest of the kids and ran over to us, and the rest of the scene played out exactly as I had dreamed it seven years previous. The way the stage was set and lit, what we were wearing, the boy's face and voice and my friend's comment - everything was the same. "Up until about nine months ago, I would get the occasional deja vu experience but then something shifted. I'm almost 19 now, and I've already had my fair share of odd experiences but, in a way, the past several months have been the strangest ones so far. I used to think the future wasn't set in stone, that every little thing that happened had an effect that changed the whole world, and that there were an infinite number of futures and parallel worlds for each moment in which something could change. Now, experiencing deja vecu several times a day has led me to wonder if maybe the future (or at least parts of it) truly cannot be changed. "What I've noticed is that the things I dream of are hardly ever important to me at the time of the dream, and often don't even make sense, but when the event happens it's something that makes me really happy or shocked or some other strong emotion. It's not always an event, per se, either. I read a lot, and sometimes I'll start on a book when I recognize the opening scene from one of my dreams. I'll take a moment to remember the dream, and as I keep reading it'll turn out that I dreamed about half of the book. Actually, this just happened to me earlier today and I finally realized why I had dreamed about falling from a railroad car as it vanished (ironically, this book is all about dreams; it's called Dreamhunter). Very rarely do my dreams last more than a few hours of an actual experience, though (I'm a fast reader). The same thing has been happening with anime episodes, manga chapters, and even discussions on forums, which are all the things I'm really into right now. "I guess my point is, I've noticed that the events, when they occur, are things that are mundane but important. I get stronger feelings about them than about anything else. Perhaps this helps the idea of time loops, where the important things stick in your memory? I don't know how else to explain it other than seeing the future, and like I said, I've always believed in a changeable future and it's hard to think that that idea might be wrong. But if it really is seeing the future in dreams, then... Feeling deja vecu almost all the time has been both empowering and greatly unsettling due to that notion. "Reading the various accounts of deja vu on your site was a huge relief. I'm so glad I'm not the only one going through steady and specific deja vecu. I sure hope that someone is doing serious research on the deja phenomemons, and that whatever the cause is it will be discovered and made public knowledge sooner rather than later. Sites like yours, and other places where people can recount their experiences, should help quite a bit. "Thank you so much for making this site! I hope my own account can enrich your knowledge of the phenomenon and help others feel like they're not alone in their experiences in turn." By sharing this wonderful note, I am hoping others will now feel motivated to relate their experiences in comments to this blog. It would also be really great to see you at either the Rhine Center lecture or the workshop at the end of June.